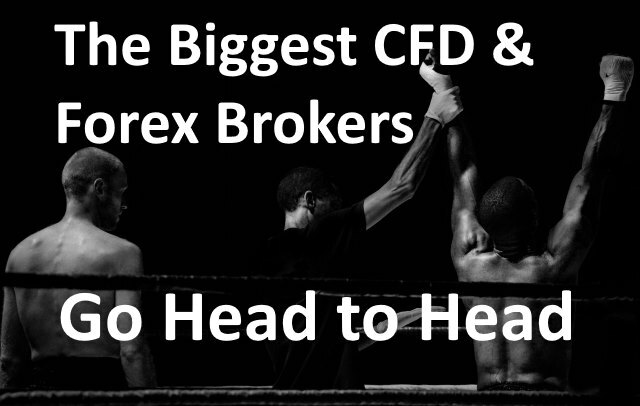 This is the in-depth review of FXPro conducted as part of our 12 Biggest & Best CFD Brokers Review for 2018. FxPro is a great allrounder featuring as a winner in 5 of the 8 rounds. They offer a mix of 60 currency pairs (enough for most traders) and offering a good selection of 6 Cryptocurrencies. They also allow some commissions flexibility, with the option of not just trading on the spread but a commission of $45 per $ Million of volume, so you can choose which is cheaper for you. FxPro also offers a huge selection of 31 different commodities and futures to trade. In terms of Investor Protection importantly FxPro offer Negative Balance Protection for ALL CLIENTS, meaning you cannot lose more than you have risked in your account, which is an issue with many of the other CFD Brokers. Combined this with a 20,000 EUR Investor compensation fund and a UK regulator and you have a good mix. trading algorithms, then you can take it to the next step and let the system trade on your behalf based on the rule you have set. These algorithmic trading strategies can then also be used in MT4 and cTrader. FxPro cAlgo also allows you to create your own powerful indicates and automate the execution of them in the currency market. You can combine these tools on your own Virtual Private Server (VPS) hosted by FyPro and BeeksFX and you will have a very powerful low latency solution. Finally, a top-tier customer support system with experienced agents available on the phone, and an 85% Trust Pilot Approval Rating and Zero negative tweets in the last 3 months. Recently discovered a great fxpro application – fxpro tools. This is the range of important trading tools in one app. You can get acquainted with all necessary indicators anytime and anywhere. Highly recommend. Spreads here are not the smallest, but order execution is very fast and stable, withdrawals without any delays and convenient user interface. Surely a decent company. In general, my opinion is positive. HI Jorge, thanks for the input, great to know. Great broker. No disappointments so far. I’m very happy! 9/10. Highly recommend to all traders with different experience and trading styles. I recently tested this broker and was pleasantly surprised to have found that they are quite good. Professional customer service and fast order execution. All transactions are fast. Also they provide good forex software and analytics. Up to now, my trading with FxPro has been successful. Never had problems with platforms and withdrawing process. All the conditions are observed. Also they provide a lot of useful study materials on their website.